Seattle is a top destination in the United States for work, love, outdoor adventures, and breath-taking scenery. Is it any wonder that Seattle has seen continued growth and that major companies continue to hire here on a regular basis? From the iconic and beloved Pike Place Market, to attractions that simply don’t exist anywhere else on the planet, such as the Space Needle and the Experience Project Museum, Seattle is a top destination for moving and vacationing for a reason. Plus, woman are now flocking to Seattle for the available men that Amazon and Microsoft bring in as new employees. With single, available men with excellent careers along with some of the most intelligent, artistic, and tech-savvy women on the planet coming here, is it any wonder that people in Seattle only want to date in Seattle? With so many wonderful aspects to Seattle, it can be hard to remember that Seattle is a major city, and with every major city comes challenges. Specifically, Seattle is only safer than about 4% of all US cities, and there has been a spike in recent years in the homeless population. Because Microsoft, Amazon, and Starbucks are all major pulls for employment to the city, housing costs have risen and property crime rates have spiked. With the increase in crime, how can you be sure that any potential date isn’t just trying to scope out your house or find out where you keep your emergency car or house key? 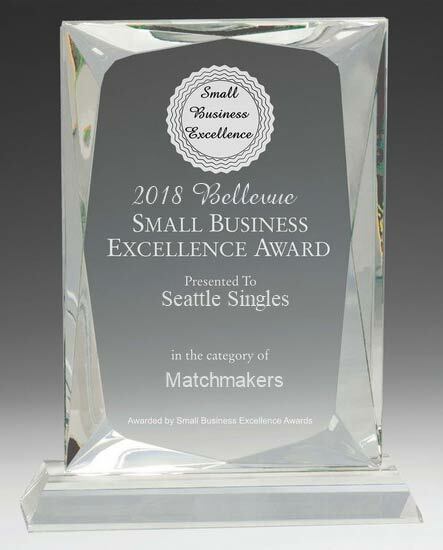 With Seattle having a property crime rate that’s more than double the national average, it’s an understandable concern, and the best way to reduce the chances is to use Seattle Singles. Because our company employs background checks and identity verification for all of our clients, you can now know for certain that your date is not a criminal and is an established member of our fair city. Other dating sites use a degree of background checks, but no company is more thorough or better equipped to provide detailed searches than Seattle Singles. Keep dating safe, fun, and worry-free with Seattle Singles!